Golf clubs – they really can be useful tools, given the appropriate situation. Most of the time they are used for their intended purpose, which is simply to play golf. They may also be used as garden stakes (for the one’s that don’t perform properly) and as a deadly weapon… just ask Tiger Woods. Well, it appears 30 year-old Mr Yu has taken Tiger’s ex-wife’s idea and used his golf club as a weapon, in this case, “a weapon of automotive destruction”. 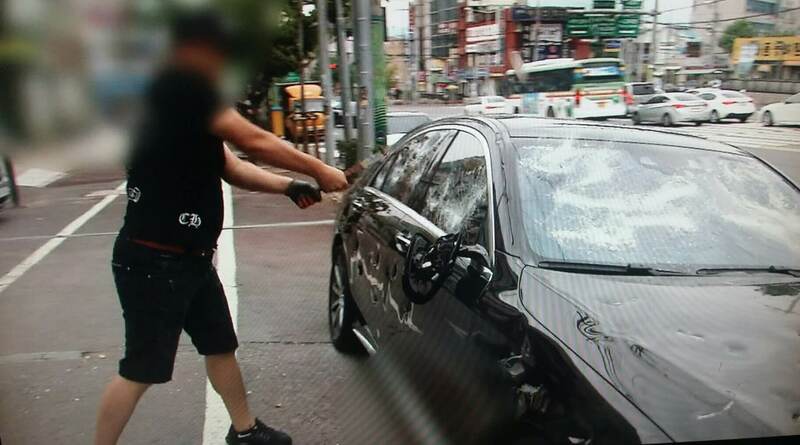 That’s right, he destroyed his $200,000-plus Mercedes right in front of the dealership in Gwangju, South Korea to protest how badly they screwed him. He told local media that his engine suddenly stopped running three times and that the dealership had promised to exchange the vehicle if it happened again. When the engine stalled for a fourth time almost causing an accident for Mr Yu and his family, he demanded an exchange, but the dealership informed him that he would have to wait until their boss returned from his business trip. After two hours of arguing, Mr Yu decided it was time to show them how he really felt.